A new overpass near the Sebastian I-95 exit will honor the old railroad. 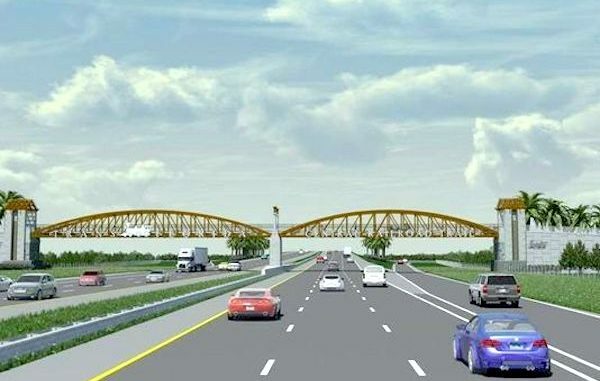 SEBASTIAN – A new pedestrian and bicycle overpass of Interstate 95 will include 2 miles of paths between Fellsmere and Sebastian. The $4.6-million project will honor the old railroad and is soon expected to begin construction that will connect the North Indian River County Regional Park with the Fellsmere Trailhead Preserve. City and county planners say the project follows an old 15-mile-long railroad route that once extended from Sebastian to Fellsmere. But now they want to extend the path in each direction. If the extension is approved, it could go to the banks of the St. Sebastian River to the east and could go to Fellsmere where the city pans to build a railroad depot replica along the railroad’s old route. This project comes after the state plans to spend $50.6 million to widen I-95 in northern Indian River County. The overpass will be located just north of the Sebastian exit. The sides of the overpass will have the words “Central Railroad Corridor Greenway” in large letters with metal arches that resemble an old railroad bridge. The Sebastian overpass on I-95 will attract people to the outdoors as they turn to hiking and biking trails instead of the golf course.